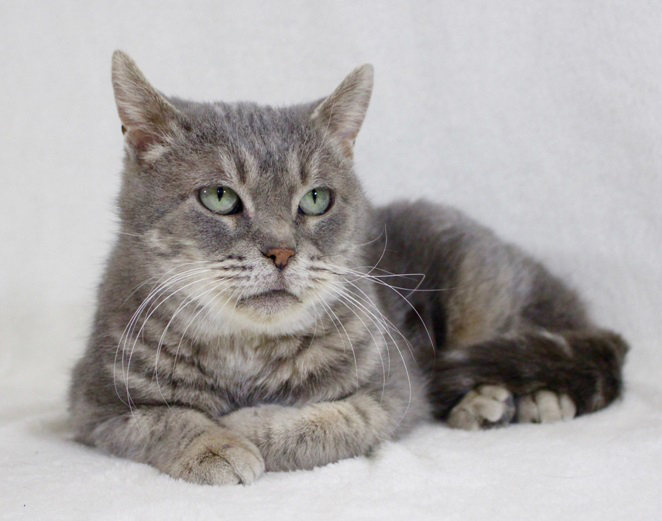 Katana is a very sweet and laidback kitty. When she went in to get spayed, it was discovered that many of her teeth were in very poor condition and causing her pain. She has since had most of them extracted and is recovering nicely. For now she is eating soft food, but as her mouth heals, she may be able to eat hard food also. She would like a quiet home with someone who will love her forever.